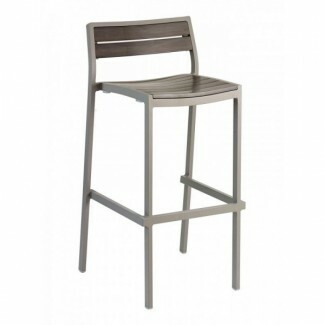 Our Mediterranean II bar stool is made of composite teak, and features an aluminum border with a slatted seat and back. Composite teak maintains its color over a period of time and will not fade. Available in a weathered grey or an all natural look.